Setup for facilities with limited space and training groups of 8 –12 people. The construction is composed of 3 modules: two 1180 mm wide and one1720 mm wide. 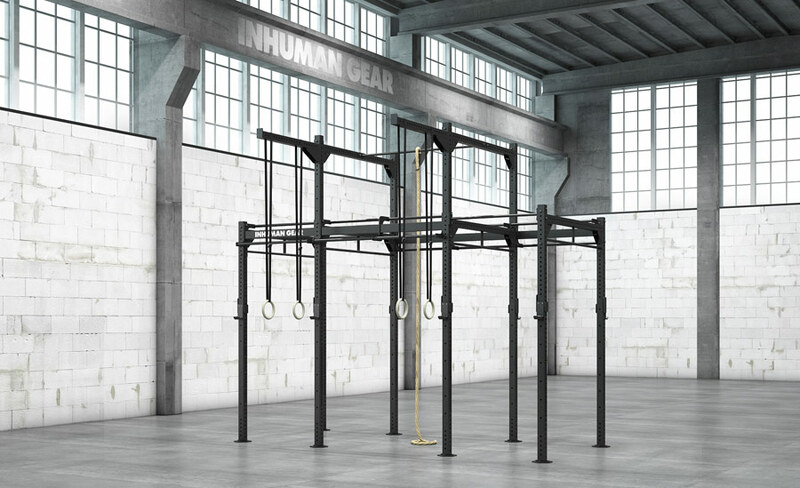 The rig in this version has 8 bars which can be used for training simultaneously and 4 squat/bench racks. 33.7 mm or 30 mm diameter bars with adjustable height. Comes with a set of 8 hooks.